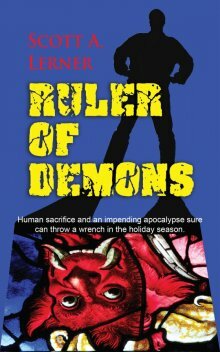 Readers are in for a Paranormal Thriller with Rule of Demons. Three nuns--in Chicago, Paris, and Jerusalem--have been killed in a religious ritual. The choice of victims and the macabre details of their deaths indicate that someone is following a recipe provided on an ancient text--a recipe to unleash the forces of hell on earth. The final sacrifice must occur on the Winter Solstice. Samuel Roberts, a small-town attorney in Urbana, Illinois, knows a bit about the supernatural, having triumphed at least once over the forces of evil. Thanks to a friend who is aware of Sam's little known previous efforts on behalf of mankind, Sam is hired by a big Chicago law firm to take on a sensitive case. His mission? Nothing less than halting the impending apocalypse. Author and attorney Scott A. Lerner resides in Champaign, Illinois. He obtained his undergraduate degree in psychology from the University of Wisconsin in Madison and went on to obtain his Juris Doctor degree from the University of Illinois in Urbana Champaign. He is currently a sole practitioner in Champaign, Illinois. The majority of his law practice focuses on the fields of Criminal law and Family Law. Mr. Lerner lives with his wife, their two children, and their cat Fern. Lerner collects unusual antiques and enjoys gardening, traveling, reading fiction and going to the movies. 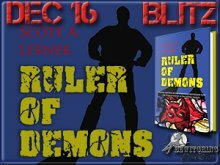 Scott's first novel featuring Samuel Roberts, Cocaine Zombies, won a Bronze 2012 IPPY Award.